Compact practicality is what the Audi Q3 is all about. This SUV boasts coupé-like styling, an elevated driving position, plenty of space within the cabin plus high ground clearance. 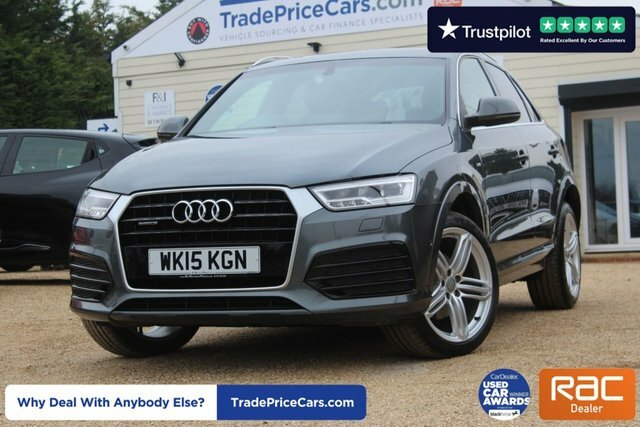 Whether you're off on the school run or tackling a dirt track in the middle of the country, this practical, compact SUV will get you to your destination safely and in style. 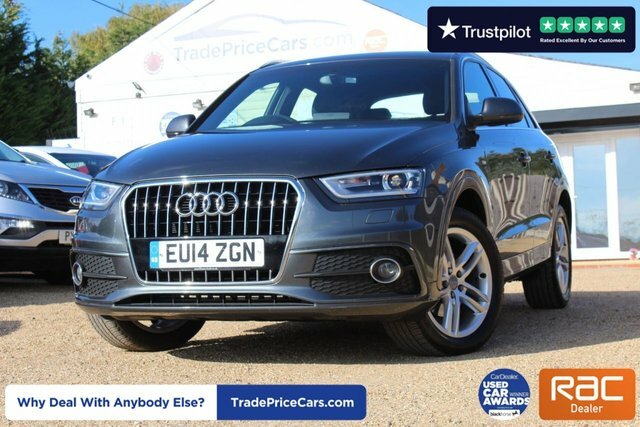 Find out more by viewing the complete range of used Audi Q3 models for sale in Brentwood here on the website. You can also contact a member of the team at Trade Price Cars if you'd like further details or are ready to arrange a test drive. Rest assured that all of our vehicles are inspected before arriving on the forecourt, meaning you can buy in confidence.